The key contents of the average umbrella company worker’s payslip have changed in recent years and it’s vitally important that contractors understand that what was once is now no more, writes Matt Parsons, managing director of umbrella company provider FPS Group. The core reason for contractors needing to be across their payslip contents is to protect themselves financially from over or under paying tax, national insurance and any other contributions to HMRC. Despite extensive warning from HMRC and the legitimate umbrella industry, the usage and number of illegitimate umbrella solutions is on the rise following recent legislative reforms, notably the off-payroll rules, which changed IR35 in the public sector. It is vital to recognise that it is not the unscrupulous provider who will be in trouble if caught, it will often be the contractor. 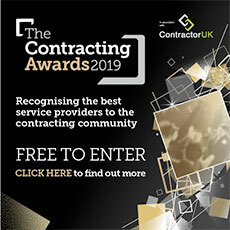 It is therefore more important than ever for contractors to be vigilant and make sure they conduct their own compliance checks on umbrella company providers they engage. One of the easiest ways to check the legitimacy of an umbrella operator’s practices is to scrutinise the payslips they provide. As a bare minimum, contractors should be able to identify the monies their umbrella company receives from their agency and how this money has been accounted for. Deductions before gross salary such as umbrella administration fee and employer’s NI and deductions from gross salary such as income tax and employees’ NI should be clearly identifiable. It is important to note that the way these are treated has not changed in recent years. There are however a range of new deductions and changes to some existing deductions that contractors should be particularly aware of when reviewing their payslips. In the current fast-changing legislative landscape, the contents of an average umbrella payslip rarely stay the same for too long. We have identified what we believe to be three key areas where significant changes have recently occurred. This levy came into effect from April 6th 2017. The levy requires all employers operating in the UK, which meet certain criteria to make a payment to the government to fund apprenticeship schemes. The Apprenticeship Levy is calculated at 0.5% of gross salary payments made. The levy comes into force for all employers with a payroll total of £3 million or more each year. As most umbrella companies employ hundreds, sometimes thousands of contractors, their cumulative payroll will commonly exceed the total threshold. Contractors should keep an eye out for this deduction which will be taken from umbrella company funds prior to the contractor’s gross salary being calculated, similar to employer’s NI and the umbrella administration fee. This is an employer liability, not an employee liability so it should never be deducted from a contractor’s gross salary. Contractors should not be scared to ask questions about the absence or presence of the levy within their payslips if it looks out of place. The UK government introduced workplace pension regulations in October 2012. These regulations state that when an employer (an umbrella company in this case) reaches its staging date, it must auto-enrol contractors and make pension contributions. The staging date for an umbrella company should be pointed out to relevant contractors if it has already been reached or the moment it is reached. It is now the case that the vast majority of umbrella companies should have already reached their staging date or at the very least will be reaching it imminently. These pension contributions are split between employer, employee and government. The amount a contractor and their employer pay-in varies according to what type of workplace pension scheme they’re in. The law says a minimum percentage of a contractor’s salary (‘qualifying earnings’) must be paid into their workplace pension scheme. Employer’s pension contributions will be taken from umbrella company funds prior to the contractor’s gross salary being calculated, just like the Apprenticeship Levy outlined earlier. Employees’ pension contributions will be taken from the contractor’s gross pay similar to employee’s NI and income tax. We would advise contractors to make sure they are fully aware of their umbrella company’s staging date and to check the size of the deductions being made. As you may be aware since April 2016, umbrella companies are now unable to provide home-to-work travel expenses at source. Therefore although expenses are not a new payslip item, the amount which is deducted will in most cases be vastly lower as the breadth of what can be claimed for has been hugely reduced. If a contractor’s expense deductions remain high and cover more than just business mileage claims (mileage between places of work, not including home to work) then they should be questioning this with their umbrella company. To be clear, claiming tax relief on expenses other than business mileage is not permitted. Legitimate expense deductions should be made before contractor gross salary is calculated just like employer’s NI and umbrella admin fee deductions. These amounts should then be added back after net salary on the payslip. Out of the three key areas explored here, this is most likely to be the area where issues crop up. This is because umbrella companies may cut compliance corners in order to artificially inflate a contractor’s take-home pay and this is one of the easiest ways to do that. Armed with the right knowledge, contractors will be able to make sure their provider is doing everything ‘by the book.’ Payslips may seem like a boring and dry bit of paper, but in reality they act as an important window into the compliance standards of umbrella company providers. Be especially vigilant in the three identified areas as these are likely to be items where procedures with your umbrella company will be different to what they once were.